Cactus plants ship well because their sturdy stems and leaves withstand bumps when being handled and will not break off easily. 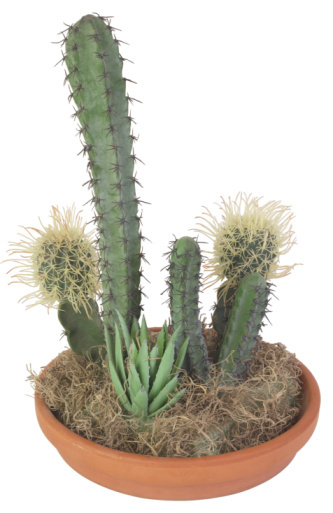 Cacti also require little water, allowing them to survive just fine with low levels of moisture during shipping. Although they are sturdy, cactus plants still must be packaged correctly to ensure that they arrive safe and sound to the recipient. Padding and support are both important factors to consider when wrapping the cactus for shipment. Properly package cactus for live shipment. Wear gloves to avoid injuring your hands while working with the cactus. 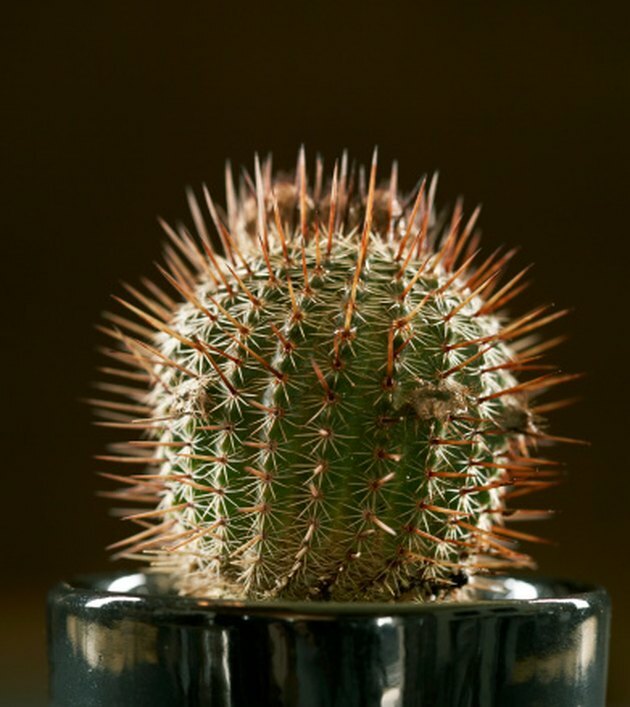 Remove the cactus from its pot gently to avoid damaging the root ball. Hold the cactus over the pot and shake it to remove excess soil from around the roots. Layer three or four paper towels together and dip them in water to dampen them. Wring them out slightly and wrap them around the root ball to prevent the roots from drying out while shipping. Make sure the root ball is completely covered with damp paper towels. Layer three to four sheets of newspaper and dip them in water. Place the wet newspaper around the root ball, over the paper towels. Wrap plastic wrap around the wet newspaper a few times to seal in the moisture. Wrap sheets of newspaper over the entire cactus plant. Add two or three layers of newspaper around the plant. Fold in the ends of the newspaper around the plant and tape them closed. Measure the length and diameter of the cactus. Cut a piece of cardboard 2 inches longer and 4 inches wider than your measurements. Fold the cardboard to create a rectangle big enough to slide the cactus inside. Tape the edges of the cardboard square together so that it holds its shape. Slide the cardboard square over the cactus. Pour styrofoam peanuts into the top of the cardboard square to fill in any gaps between its sides and the cactus. Fill a cardboard box half full of Styrofoam peanuts. Place the wrapped cactus sideways into the box so it is lying on top of the peanuts. Fill the remaining space in the box with Styrofoam peanuts. Close the lid of the box and seal it with packing tape. Write the name and address of the recipient clearly on the top center of the box with a permanent marker. Write your name and mailing address in the top left corner of the box. Write the words "live plants" on the top of the box. Send the box overnight or express mail to ensure that the cactus will arrive in a timely manner while it still has moisture available to it. Notify the recipient of the package's estimated arrival date to ensure that they will receive it and open it immediately. Jessica Westover began writing professionally in 2010. She has worked at various greenhouse production facilities and more recently as a personal banking assistant for Zions Bank. Westover graduated from Brigham Young University Idaho in 2005 with a Bachelor of Science in horticulture and a minor in accounting.